On a previous post, I started to blog about how Xtext 2.1 made it extremely easy to have a powerful integration with Java thanks to Xbase, a new expression language library which allows to integrate (Java-like) expressions in your DSL. I had also blogged about using JVM types from your DSL. and the one about Xbase expressions (concerning how to use the XbaseCompiler for generating code corresponding to Xbase expressions). So, first of all, create a new Xtext project; IÃ”Ã‡Ã–ll call this project org.xtext.example.helloxvars (and the files will have extension helloxvars). Now, we can start generate Xtext artifacts. With the defaults, youÃ”Ã‡Ã–ll also get a HelloXvarsGenerator.xtend, which we now to generate Java code. The basic idea of the generator is: for each Greeting element we will obtain a package and a class named according to the Greeting name feature (package all lower case, and class name with the first letter capital). We’ll deal with the generator later in this post. Note that Xbase (its validator) already checks that the types are correct, i.e., that the initialization expression has a type which is a subtype of the declared type for the variable. But, more important, you will reuse the type inference mechanism of Xbase: you don’t need to declare the type for the variable when this can be inferred by Xbase itself! 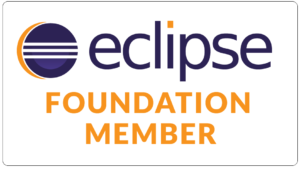 Regenerate the Xtext artefacts, and start a new runtime eclipse instance. Create a new plugin project (say Ã”Ã‡Ã¿helloxvarsÃ”Ã‡Ã–), and in the source folder we create a .helloxvars file (say Ã”Ã‡Ã¿My.helloxvarsÃ”Ã‡Ã–) and accept to add the Xtext nature. To fully enjoy Xbase syntax, please make sure that in the project you created in the runtime workspace you also have org.eclipse.xtext.xbase.lib as a dependency in the MANIFEST. Now, if you try to write code like in the above image you’ll get errors due to the Xbase expressions that cannot access Xbase variables; in fact, Xbase variables are automatically visible to Xbase expressions only when they are both part of an XBlockExpression, which we don’t use in our case. Thus, we must extend the Xbase scoping mechanism in order to make all the variables declared before the greetings to all the expressions of the greetings. * This class contains custom scoping description. So, when the context is the root of our model (Model) we return as the scope all the variables declared in our greeting model. Now, restart your eclipse runtime instance and you’ll see that errors go away: the expressions in the greetings can access the variables declared above! This code should raise errors, since the initialization expression for v should not be able to access variables declared afterwards (e.g., v2); while, with our scope implementation, this code would be silently accepted. So, we need to tweak our scope implementation; however, let’s stop following the workflow of trying a modification, restart the runtime eclipse instance, and see whether we made it… let’s be agile 🙂 and write some unit tests! Create an Xtend2 class in the tests plugin project org.xtext.example.helloxvars.tests and add in the MANIFEST org.eclipse.xtext.xtend2.lib as a dependency. Hello foo from new String(s3)! Hello foo from new String(s)! Hello foo from new String(s1)! If you take a look at our implementation of scoping, you’ll soon realize that we customized it too much: we basically override completely the method of XbaseScopeProvider, which will then be unable to build the scope for local variables declared in the expressions, and closures declare local variable themselves! Now let’s move on to generation! Similarly to the previous post about Xbase expressions, we will generate a main method for each Greeting, and we will generate the Java code for all the variable declarations and initializations by reusing the XbaseCompiler. Most of the code for the generation has already been explained in the previous post. 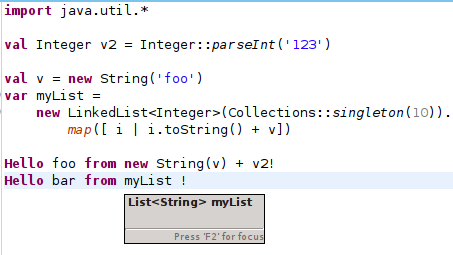 var myList = new LinkedList&lt;Integer&gt;(Collections::singleton(10)) Hello barList from myList ! Hello barList from myList ! Integer v1 = 1 // There will be a warning after the code generation, I know. in the grammar and get java code generated from it. @nonuma, I’m not sure I understand what you mean, can you elaborate please? info and then call necessary method of the xbase compiler passing the xbase artifact as parameter. Is this a feasible approach? Bad/Whacky idea? The inferrer is very badly documented. I am spending a lot of time just for the simplest things. documents that I need to read and examples I should checkout, I will be very thankful. I am using java 1.5, linux/ubuntu machine Xtext 2.3.0.
have you looked at my last article on the inferrer? in the inferrer’s returnType method. Debugging is not wroking too. 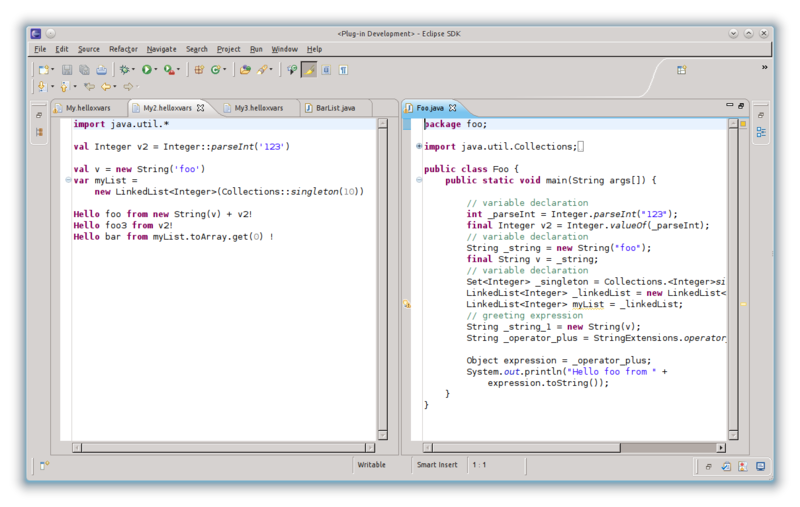 debugger goes to the generated java source or crashes. java project created using the helloinferrer.ui plugin. Is there a IRC channel or something where I can bug the developers with my questions? Thank you very much for this post. It is very useful. I am using the Xtext documentation DSL example following this post. I want to declare a property of type Entity but getting error saying Couldn’t resolve reference to JvmType ‘Entity Name’. It cannot recognise Entity as JvmTypeReference. How can I make entity as JvmTypeReference using JvmGenericType. Thanks for your help. Ambreen, I’m not sure I understand your question: are you referring to this example or to another example? Iam designing a DSL with support of XBlockExpression. I don’t need the code generation feature, but only the interpreter. while interpreting the xblock i need to pass an object and need to work on the object fields. Object is the data on which xblock xpression should work. Feature is to implement validations on the data. I am not finding any way to access the object and access its members inside. Can you please guide in this.